Real solutions you can use every day! 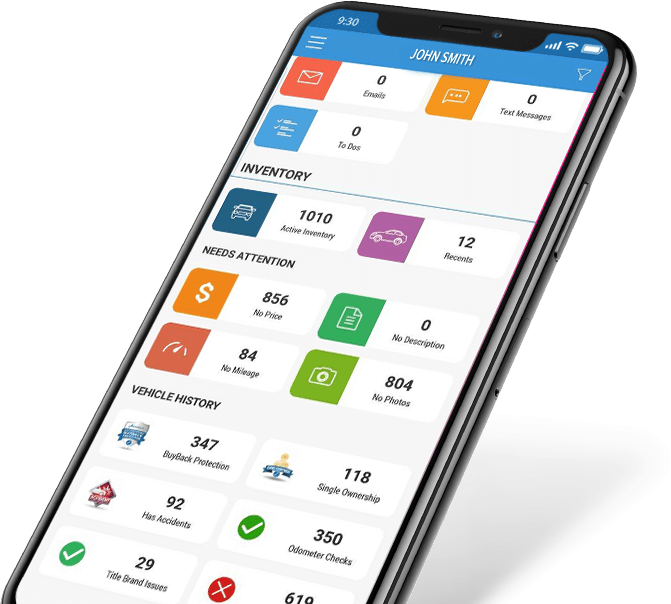 All the features and functionality so you are informed while acquiring inventory and can present your inventory in the most effective and compelling way possible. 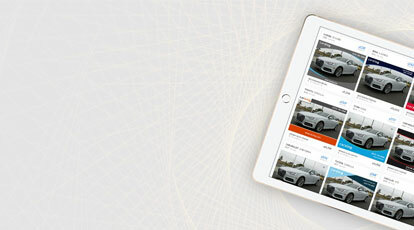 With so much data and content available, DealerCenter simplifies the process by combining everything into one platform and mobile app solution! Photo overlay templates and custom design. 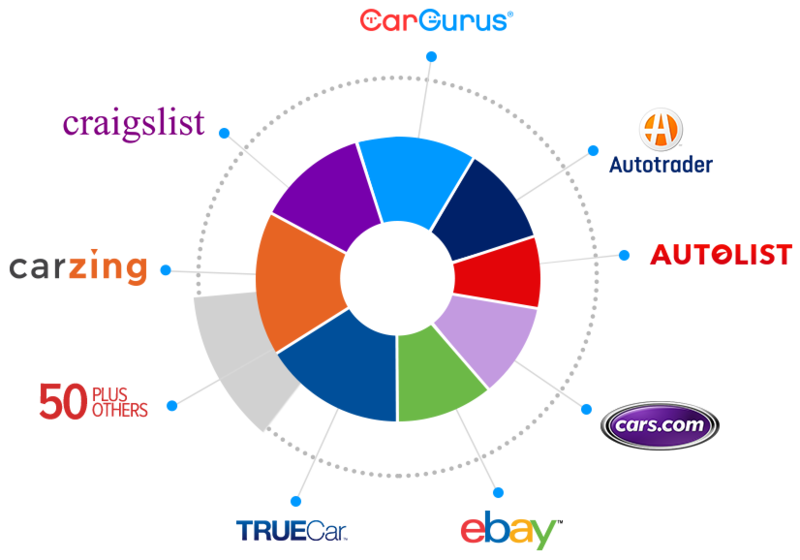 Direct feeds to any 3rd party listing site. Drag & drop photo organizer. Includes dealership name, address, phone number, and logo. 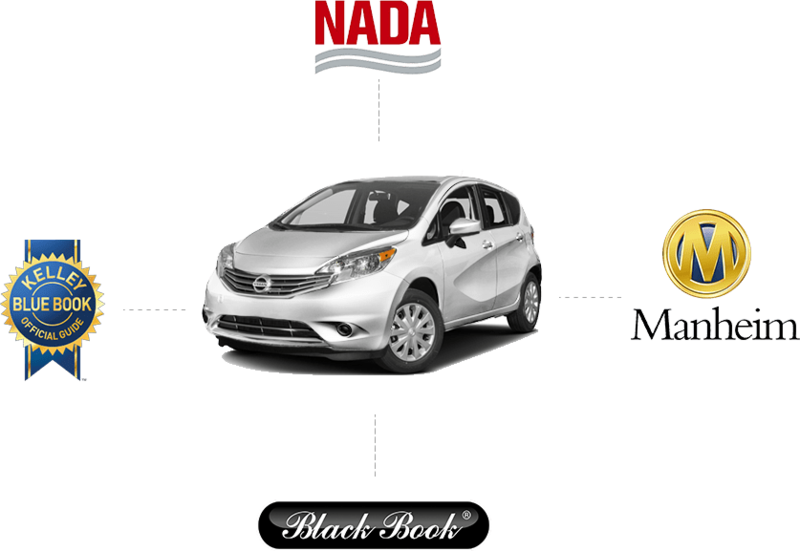 NADA, KBB, BlackBook and Manheim valuation services. Quickly see wholesale, trade, private party and retail values. Monthly subscriptions with unlimited users. Mobile app compatible with VIN scan, great for auction use. 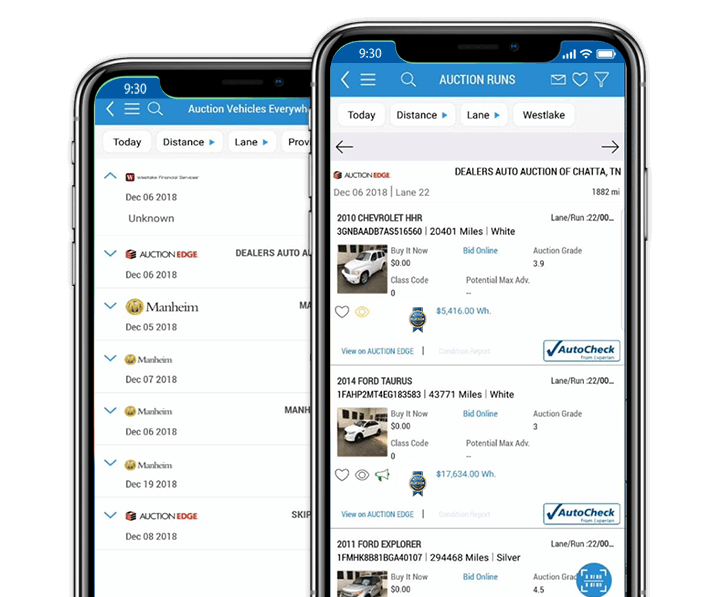 View upcoming auction sales in your area. Search based on auction name, vehicle details, and vehicle distance. 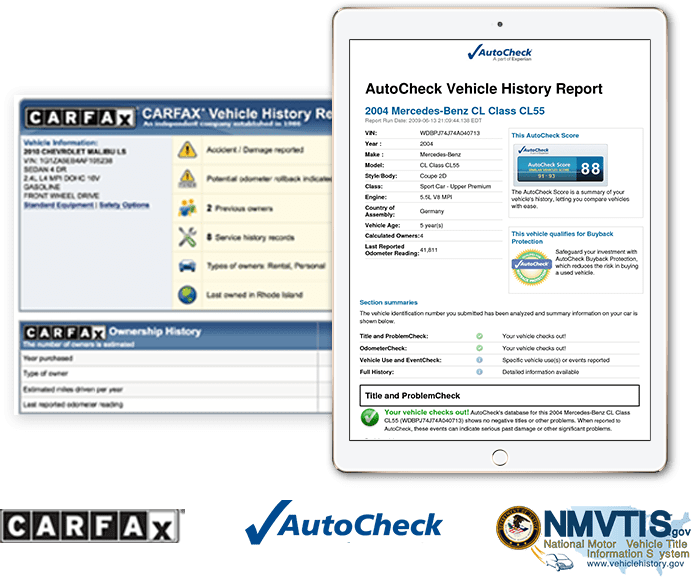 Access vehicle details, book values, condition reports, and more. View current prospects interested in auction vehicles. Save your favorite vehicles to your personal Wishlist. 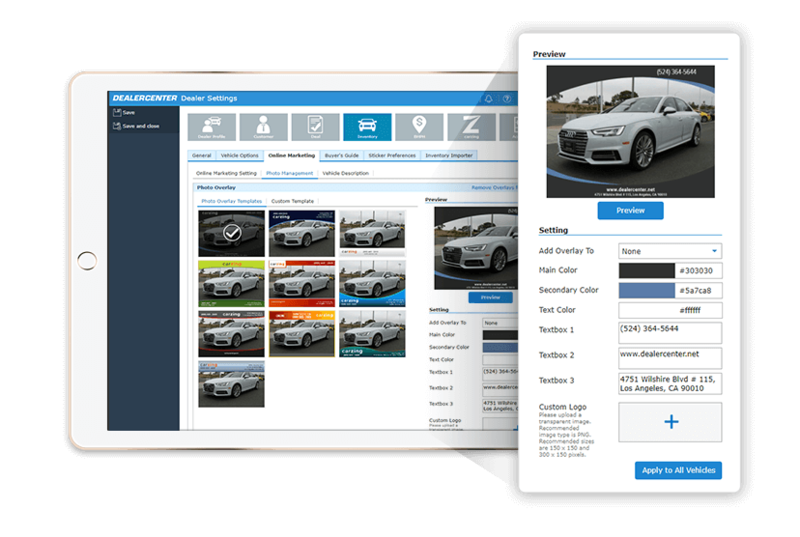 Mobile app functionality expedites your vehicle acquisition process. Choose from six (6) different window sticker templates. Auto populate vehicle details on buyer guide. 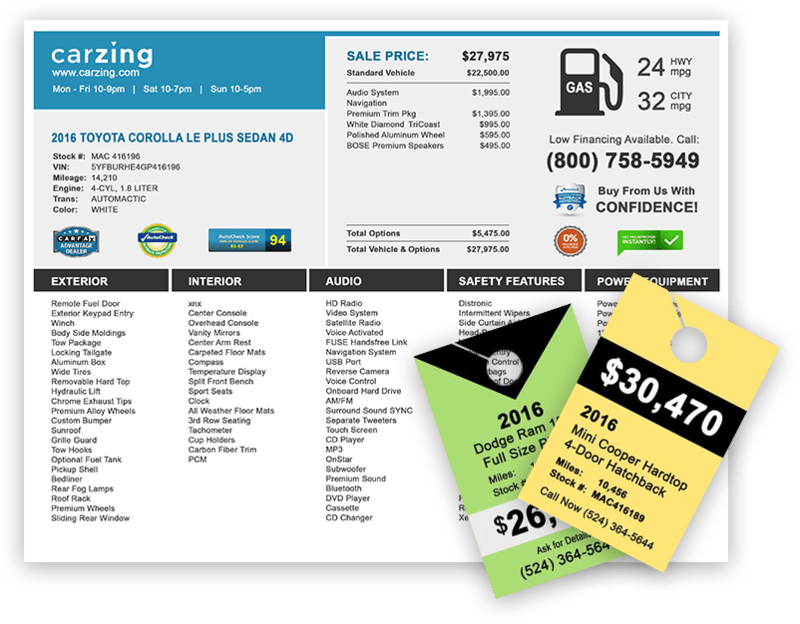 Format and print from within DealerCenter. Custom define your own reporting to see what you want to see. Quickly view AutoCheck statistics on your entire inventory. 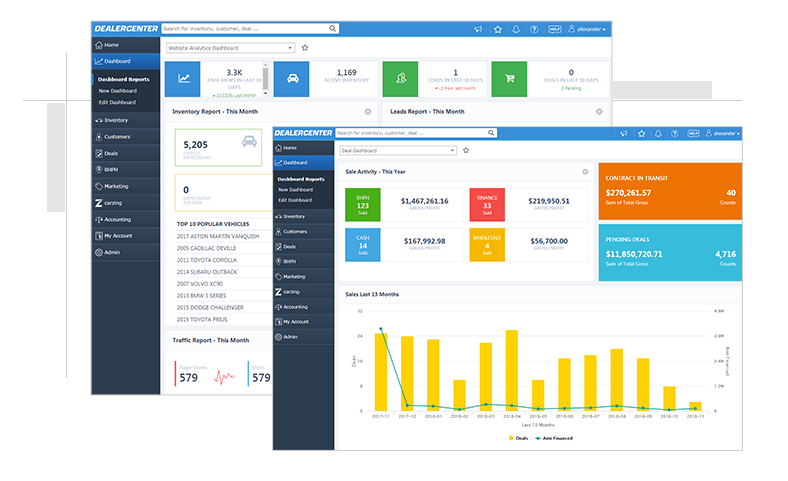 Drill down data on specific vehicles on any report. 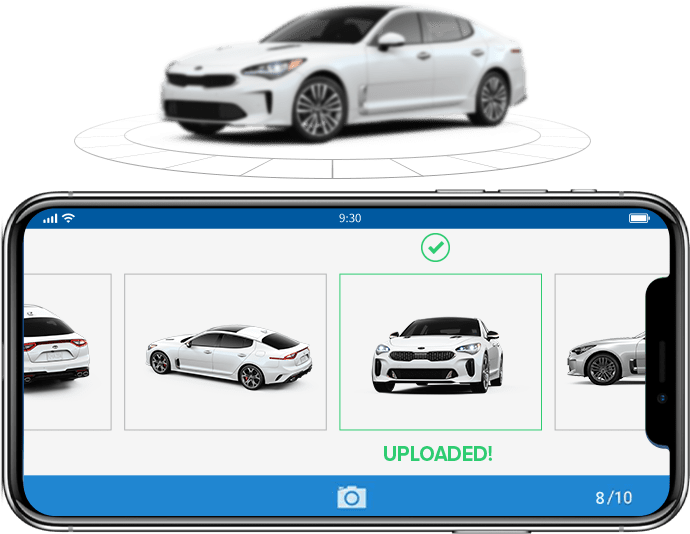 Add vehicles to inventory, easily upload vehicle photos.